Parsnip – a perfect veg for the first time fermenters. I have not been a big fan of parsnips, I must confess. It is bland and dry when eaten raw and bland and spongy when cooked. A poor cousin of the parsley root, I thought. However, I completely changed my opinion when received a bunch of parsnips from my friend’s garden recently. I didn’t know it could be so succulent and aromatic! 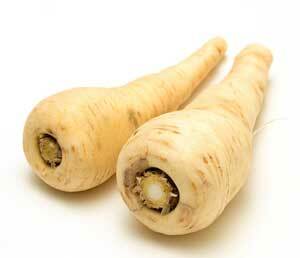 Continue reading Parsnip – a perfect veg for the first time fermenters. Posted on May 15, 2015 May 16, 2015 Categories ParsnipsTags fermented parsnips, parsnips and carrots2 Comments on Parsnip – a perfect veg for the first time fermenters.